Get ready to earn those Battle Stars! The week is almost over, but Fortnite’s week three challenges for season five have only just begun. As usual, there are seven to complete — four easy and three hard — that will earn you a total of 50 Battle Stars. You should find most of them relatively easy, but we have some tips if you find yourself struggling. Here’s our guide to smashing week three’s Battle Royale challenges. In case you’re new to Fortnite, or you’ve only just started season five, the weekly challenges work a little differently now. Three of them are available to everyone for free, while the other four are only available to those who purchased the Battle Pass. Dealing damage to your opponents isn’t too difficult — especially when you can use any weapon you want. What makes this challenge tricky is that you have to complete it in one match. You’re probably going to need to eliminate at least three opponents — more if you end up taking down players who don’t have any shield. But you don’t have to do it in solo mode. If you struggle with this challenge, hop into duos or solos with a friend (or some randoms) so that you have some help. You can let them do the hard work while you deal as much damage as you can without getting too stuck into each gunfight. If you do end up on the floor, at least there’s a chance you’ll be revived. The longer you stay in each match, the better your chances of running into opponents and landing shots. Using a launchpad is almost as easy as laying a wall. But you’ll need to find one first. They’re epic items and you probably won’t find one in every game. When you do, use it right away if you tend to get eliminated quickly, or save it to help you get out of a sticky situation later on. As soon as you make the jump, this challenge is done. Epic considers these challenges “hard,” but they’re actually one of the easiest ways to earn 10 Battle Stars. You just need to know where to go. Here’s where you’ll find 10 easy Battle Stars. There’s no need to visit Flush Factory first. 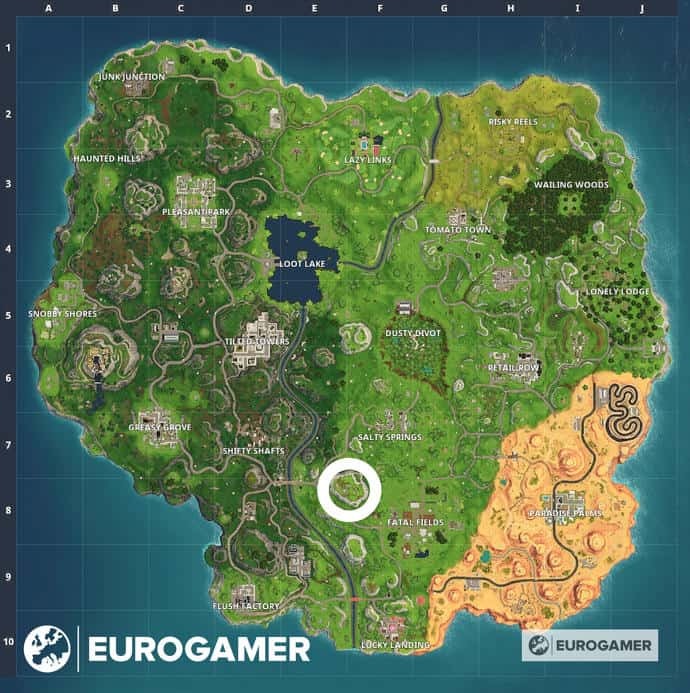 Just go to the location shown in the map above, courtesy of Eurogamer, and collect the Battle Stars that will be waiting for you. We recommend picking up a weapon first in case you run into enemies on the way. All you have to do to complete this challenge is open seven chests in the same location: Fatal Fields. The map below, courtesy of Dexerto, will help you locate them. 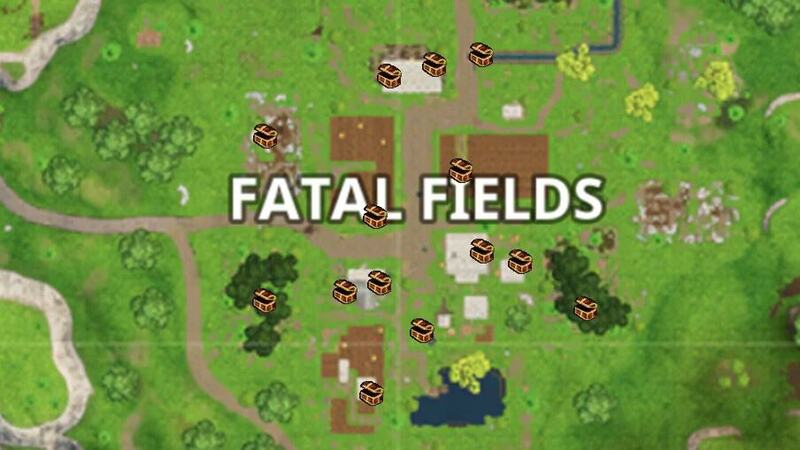 Where you’ll find chests in Fatal Fields. You don’t have to search all seven in one match, so come back later if you get eliminated early. If you really struggle, wait a few days until others have completed this challenge and Fatal Fields will be a lot quieter. We love simple challenges like this one. 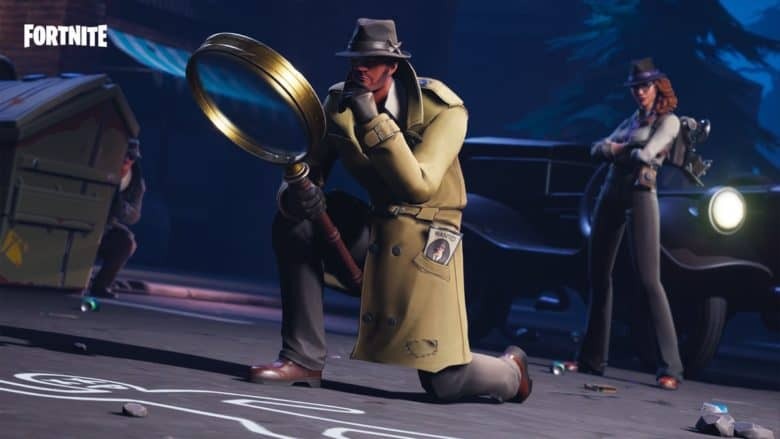 All you need to do is locate the clay pigeons located around the Battle Royale map and shoot five of them. Here’s where you’ll find clay pigeons in Battle Royale. 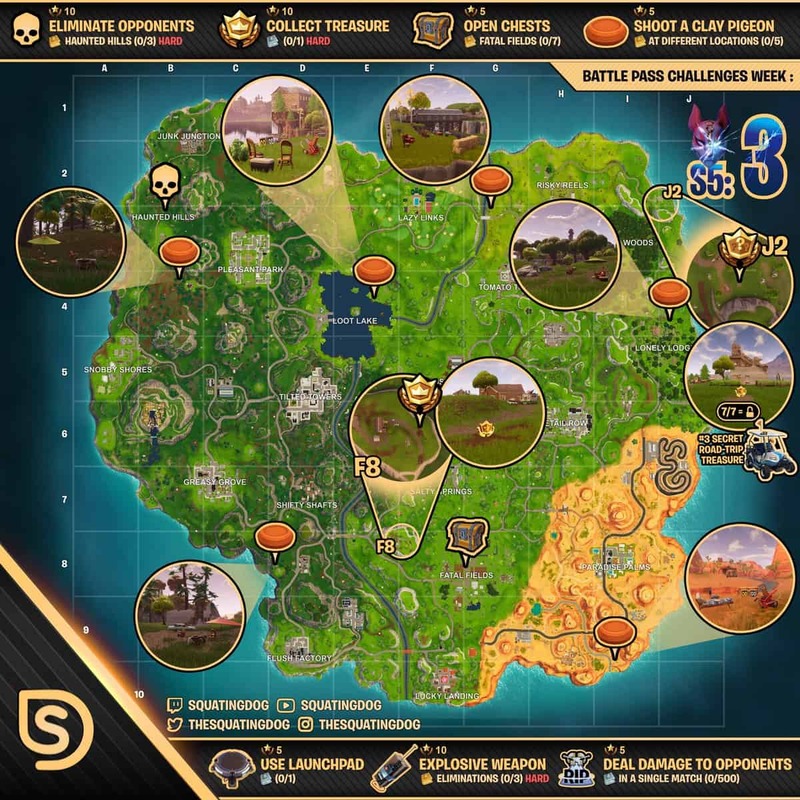 The map above, courtesy of @TheSquatingDog, shows you where they all are. You don’t need to shoot all five in one match — you can try but probably won’t get chance before the storm closes in — but you do need to shoot different pigeons each time. Haunted Hills offers a fair amount of loot and lots of cover, so getting three kills there shouldn’t be too difficult if you know what you’re doing. It’s usually fairly quiet in this location, so we recommend completing this challenge as soon as possible while other players will be landing there with the same objective. If you struggle, try teaming up in duos or squads, or come back in a few days when there won’t be quite as many people landing there. Remember you don’t need to get all three kills in one match, so if you get eliminated, just keep coming back. This might be the most difficult challenge this week if you don’t use explosive weapons a lot. The good news is that they’re all very powerful so it won’t take you too long to complete once you get the hang of the weapons. All explosive weapons count for this, including rocket and grenade launchers, C4, and clinger grenades. If you haven’t yet completed the previous challenges for season five, check out our guides for week one and week two.